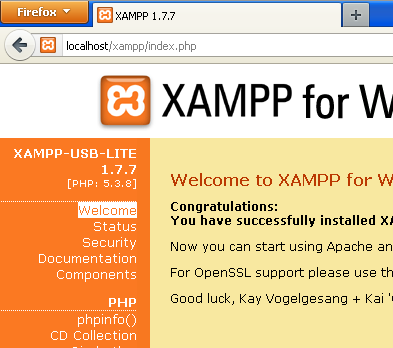 Edit the php.ini file, it is located at ﻿C:\xampp\php\php.ini. It can be edited with Notepad or a similar program. We recommend Notepad++ to avoid issues with line endings. 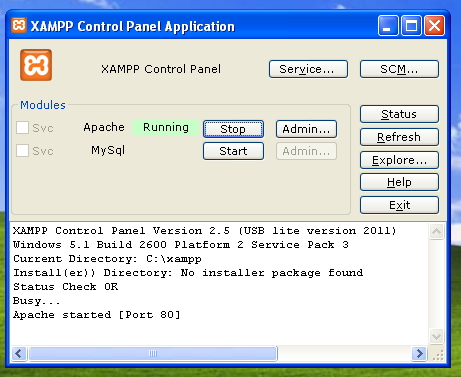 Append at the end of the file: extension=php_phalcon.dll and save it. phpinfo() will output a significant amount of information on screen about the current state of PHP. Scroll down to check if the phalcon extension has been loaded correctly. If you can see the phalcon version in the phpinfo() output, congrats!, You are now flying with Phalcon.